Michigan Radio has been selected as a winner of a 2017 Wade H. McCree Award for the Advancement of Justice by the Michigan Press Association Foundation. 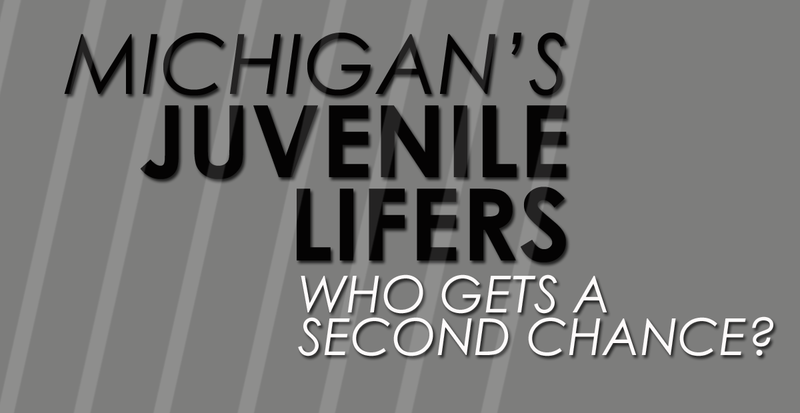 The station was recognized for the series, “Michigan’s Juvenile Lifers: Who gets a second chance?” The series, which aired in December, 2016, took a close look at how Michigan is following up on a landmark U.S. Supreme Court ruling striking down mandatory life/no parole sentences for juvenile offenders. The series examined why Michigan has so many more juvenile lifers than other states, why prosecutors are resistant to the Supreme Court order to re-examine these cases and whether juvenile lifers in Michigan really are getting a second chance. The Wade H. McCree Awards recognize journalism that examines, explains, exposes and details important issues in law and government. The award is named after distinguished Michigan attorney Wade H. McCree, who served as judge of the U.S. Court of Appeals and Solicitor General of the United States. The Advancement of Justice awards were established in 1974 in a collaborative effort between the State Bar of Michigan and the Michigan Press Association. Other winners of a 2017 McCree Award were Bridge Magazine for building and maintaining a timeline of events and government communications in the Flint water crisis; Reporter Jennifer Dixon and Computer Reporting Specialist Kristi Tanner of the Detroit Free Press for a year-long investigation that produced a series of reports on flawed oversight by the Michigan Occupational Safety and Health Administration in cases of workplace deaths and safety; and Reporter George Hunter of The Detroit News for reports about Davontae Sanford, who was convicted of a multiple murder as a juvenile and spent nine years in prison before his release in 2016 with prosecutors acknowledging his innocence. The awards will be presented in April in conjunction with the Michigan Journalism Hall of Fame Induction Ceremony in East Lansing.